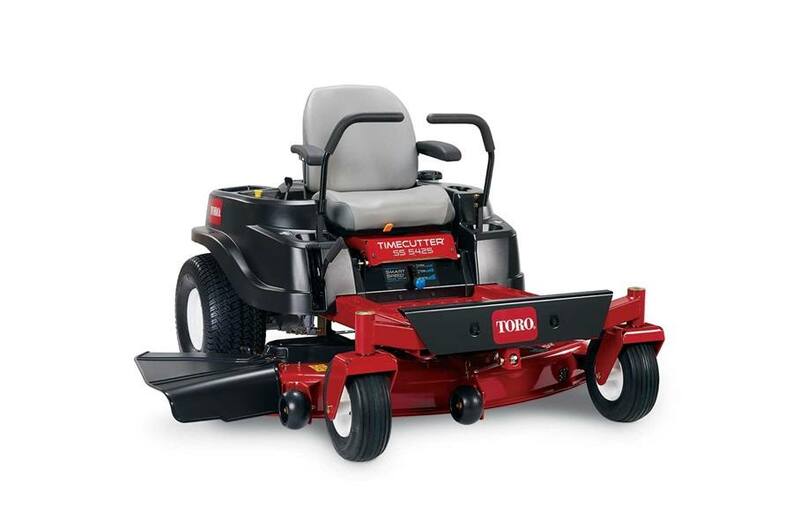 The TimeCutter® SS5425 zero turn riding mower is powered by a 24.5 hp Toro V-Twin 708cc engine with self-cleaning airbox. It features a 54", 4" deep, high capacity, 12 ga. steel mowing deck with convenient washout port for cleaning under the deck. Comes with an 18" extra-tall seat for added comfort and large 20" x 10" rear tires to give you a smoother ride over rough terrain.